Here it is. That rare and beautiful thing. 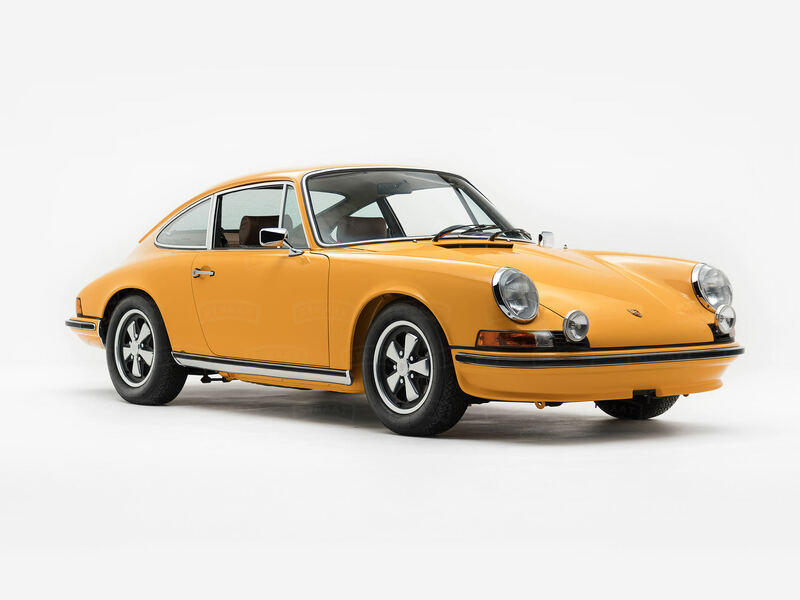 A first generation 911, one of the last true S performance models, perfected and restored. A long hood painted in Signal Yellow (52), and one of only 1,430 1973 S Coupes ever made. This particular 911S was masquerading as a Carrera RS when we discovered it —not an unusual fate for a ’73. Yet, its Porsche Certificate of Authenticity confirmed that it was a 911S — a significant model in its own right. After an initial inspection, our mission became clear: to perform a concours-level restoration and reclaim this Porsche’s true identity. This is a 911 that captivates with its bold exterior, blacked-out exterior details, and meticulously restored metalwork. Its sportiness built upon the pillars of Porsche’s racing heritage. Here, some of Porsche’s early design elements shine through — the front spoiler, the iconic roofline, the lightweight aluminum alloy wheels, and blacked-out rear engine grille. Its wild ways restored to original specification, with a few discrete modifications: H4 headlamps, European-style front and rear lenses, and European-style rear bumperettes. The 1972-1973 model years gave rise to the more powerful fuel-injected 2.4-liter flat-six engine, and the Type 915 transmission with a more driver-friendly H shift pattern. The combination is an enthusiast favorite and pairs well with the 911S’s sporty suspension, Koni shocks, and Pirelli Cinturato™ tires. Like all of our 911’s, this one was track-tested and tuned to thrill. This particular model was optioned with front sport seats tailored in Pepita cloth with brown leather bolsters. The classic 911 steering wheel is trimmed in black leather and provides a clear view of the restored gauges with white lettering and black surrounds. Road noise is subdued by the Dynamat-lined floors, making it easier to enjoy the AM/FM radio or the engine’s air-cooled symphony of sound. If you'd like to see this restored 911S in person, send us your inquiry below. We'd love to get you behind the wheel of your dream car.